One of the great things about people knowing that I write a food blog is that I get recommendations. 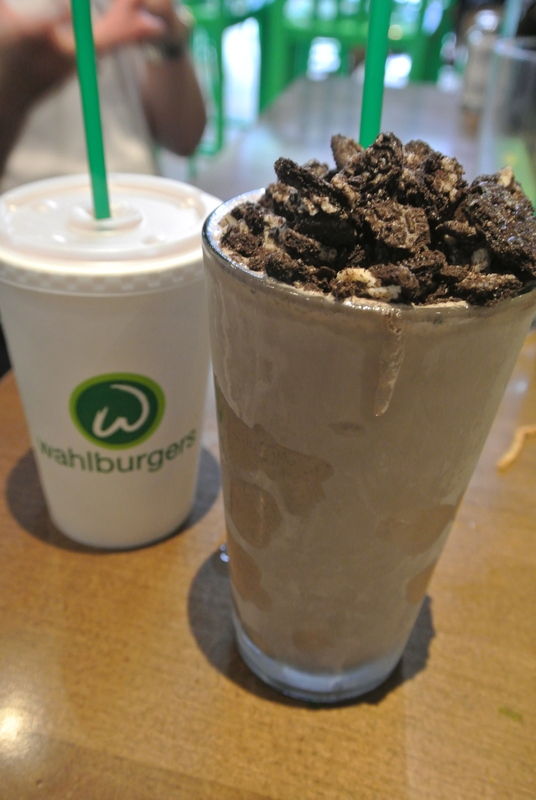 And this one came from my colleague S who asked if I had ever heard of Wahlburgers. 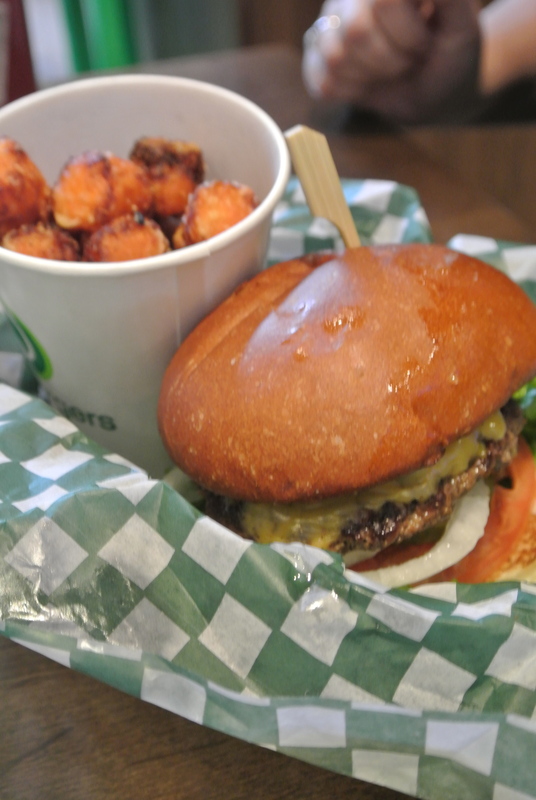 I mean, who knew that one of the Wahlbergs – yes, the same Wahlberg family that has to two famous brothers, you know, the one from NKOTB and the other from the Funky Bunch (I know, I just aged myself…..lol), opened a chain of burger joints serving up their version of the classic american burger. 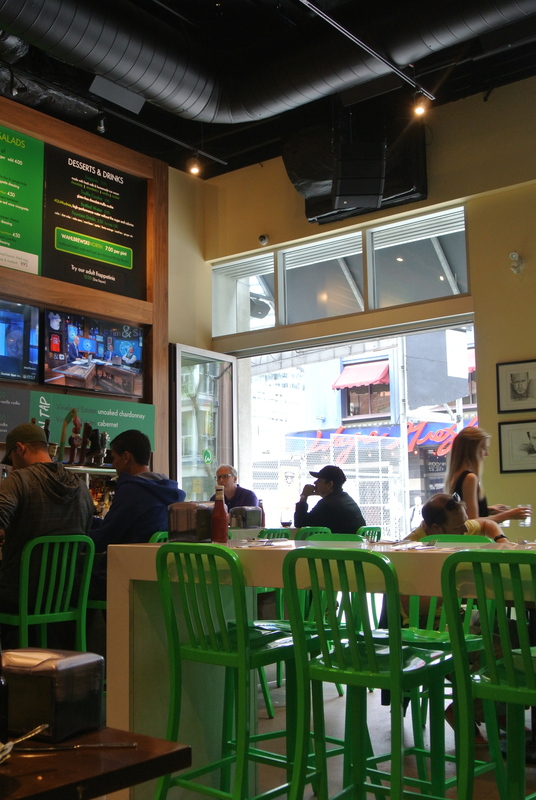 The interior has a very sleek sports bar vibe with a mix of high table tops, booths and TVs. The bar cocktails, called Wahlcoctions, are great. I had the Cherry Coke, one of my favourite soft drinks, except here its made with alcohol – cherry vodka, grenadine and diet coke. And although I was at a burger joint, I decided to try something different and ordered the Thanksgiving Burger – made with ground seasoned turkey topped with stuffing, housemade orange cranberry sauce, roasted butternut squash and Wahl sauce. Because there was so much in this burger it was hard to eat but I managed, and it was tasty! Definitely a great place for a quick bite. 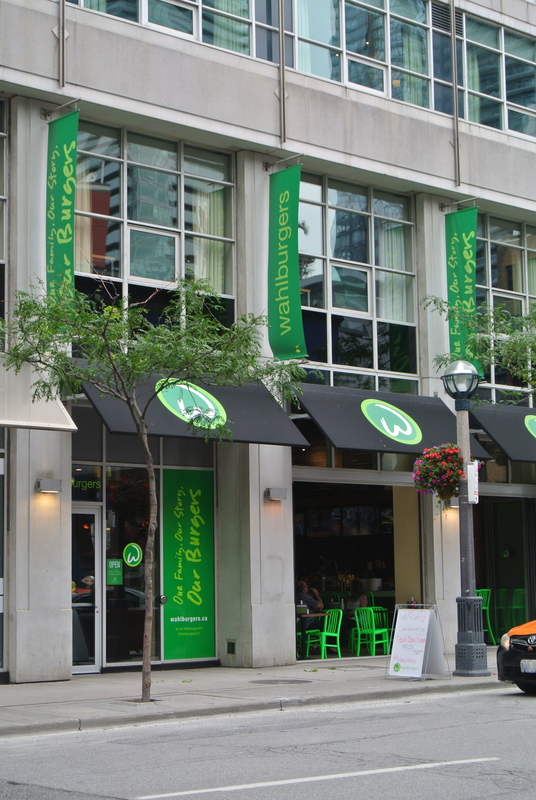 The sports bar look of Wahlburgers. 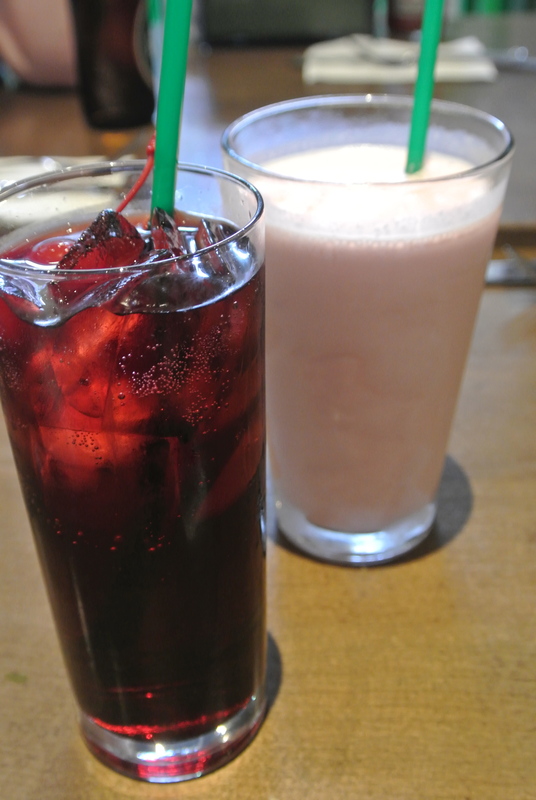 Cocktails – Cherry Coke and Blueberry Pie adult shake. 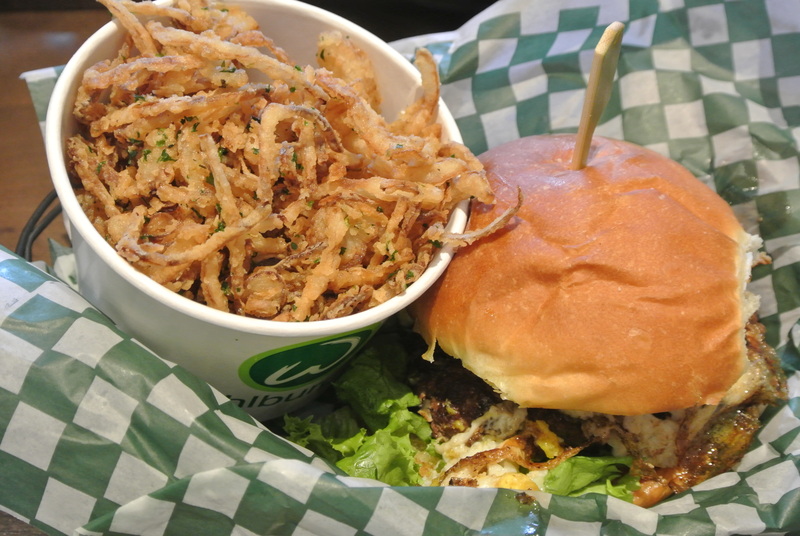 The Our Burger served with crispy fried and thinly sliced onion rings. Jenn’s chicken sandwich is a seared chicken breast, caramelized onions, lettuce and honey garlic mayo – served here with sweet potato tots. 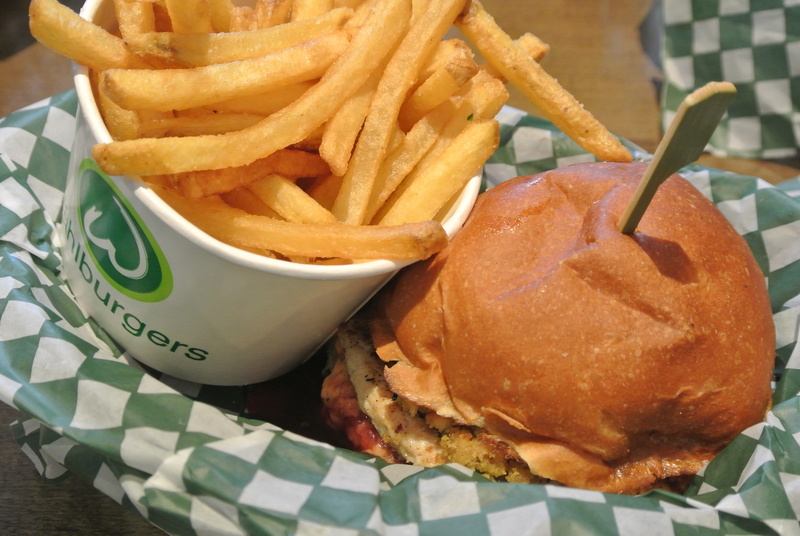 The Thanksgiving burger served with yukon gold fries. 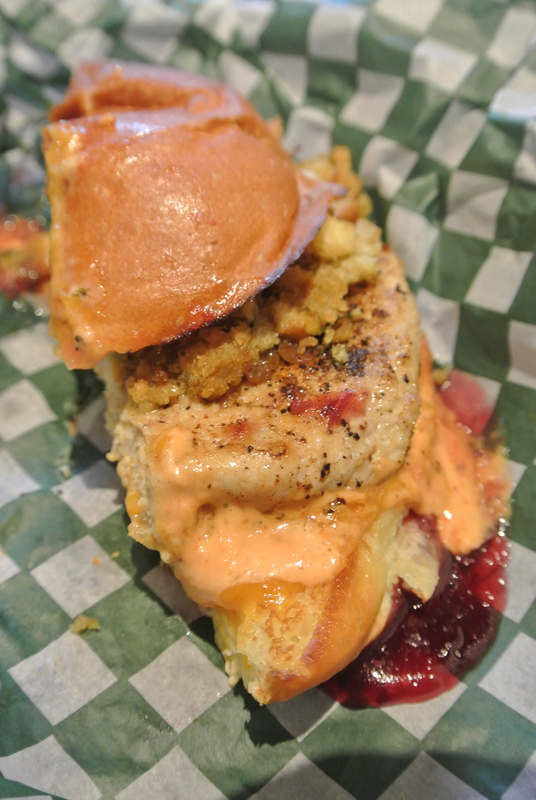 Deconstruction of my Thanksgiving burger – turkey, stuffing, cranberry orange sauce butternut squash and Wahl sauce. Mud Pie adult shake made with kahlua, creme de cacao, vanilla vodka, chocolate and vanilla ice cream; and a classic chocolate shake.